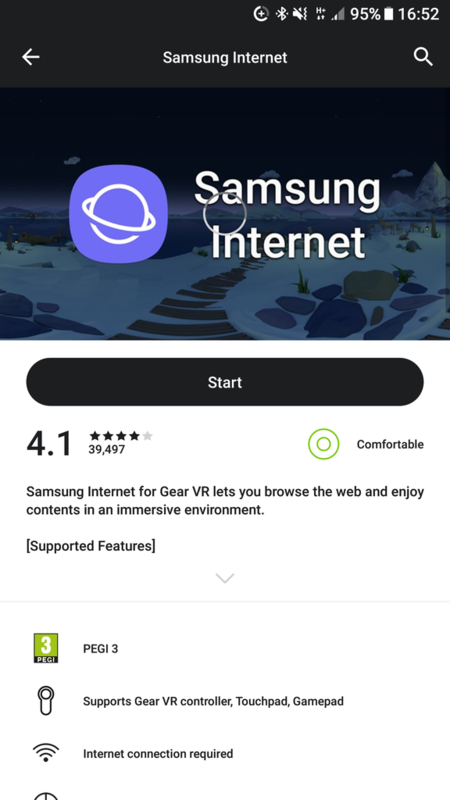 Launch Samsung Internet from your Gear VR Library. 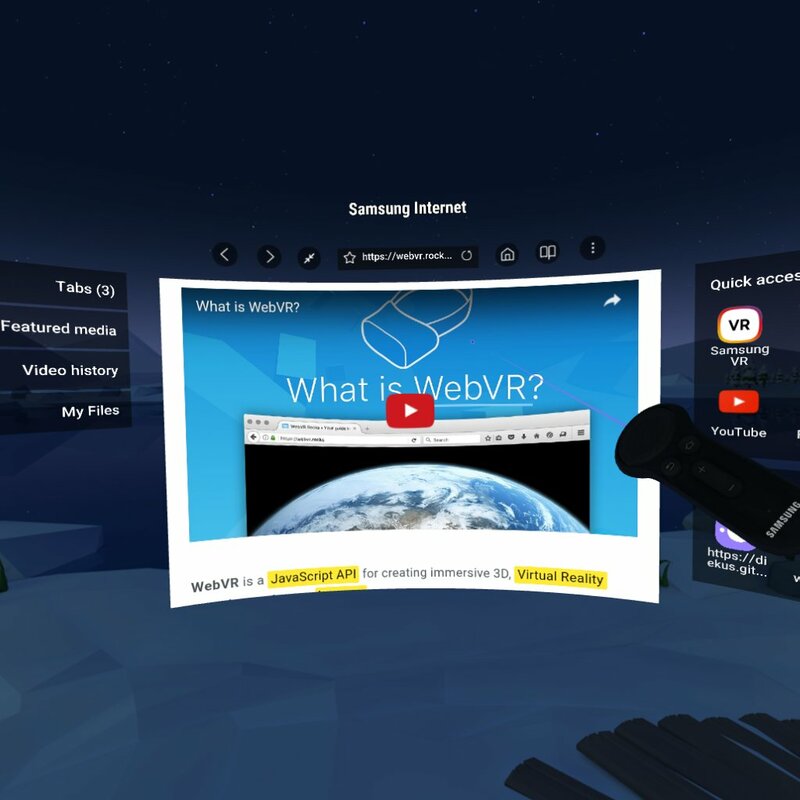 Samsung Internet for Gear VR automatically detects web pages that use the WebVR API and prompts users to enable WebVR when the page is loaded. 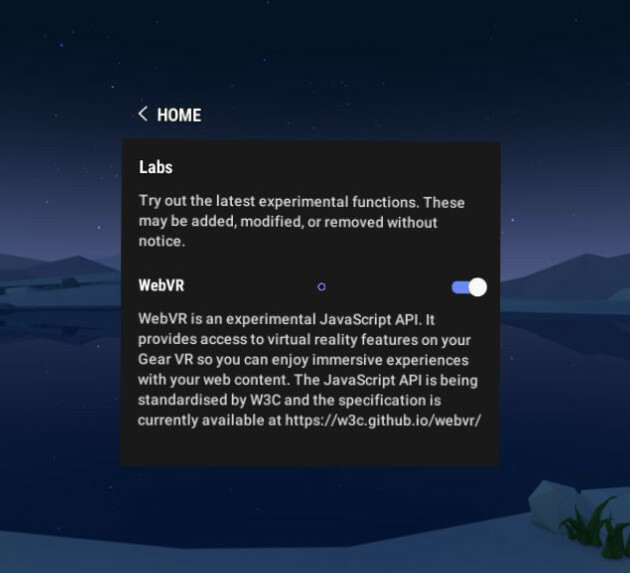 You can also enable or disable WebVR via the Labs menu. 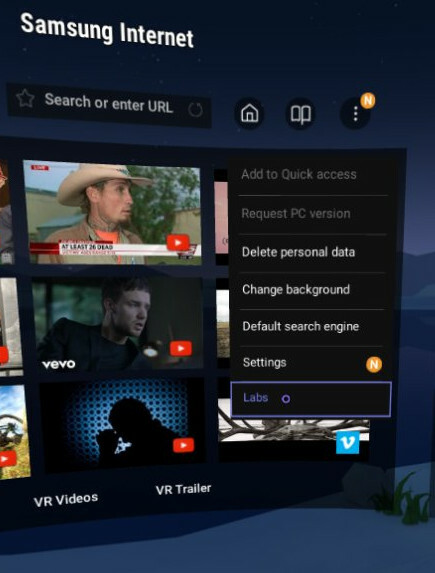 WebVR is an experimental feature and can be enabled via the Labs menu. These known issues apply to the latest published version available from the Oculus Gear VR app store. Latency is quite high and resolution is low. Content is very pixelated.